Holding a prime location within the Westlands, an extremely spacious detached dormer residence ideally suited for a large family providing hugely adaptable living space potentially including up to 7/8 bedrooms. 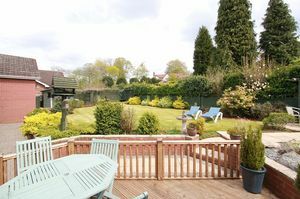 This former detached bungalow has been extensively altered by the current owners to provide a range of additional living/bedroom space to first floor and also includes a separate self contained living annexe above the garage. 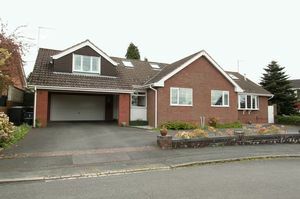 The accommodation in principal comprises large entrance porch, reception hallway giving access to all principal ground floor rooms comprising of master bedroom with en suite, two further double bedrooms (potential further receptions), family bathroom, spacious living room and open plan dining kitchen with small utility and staircase to first floor family room/study. 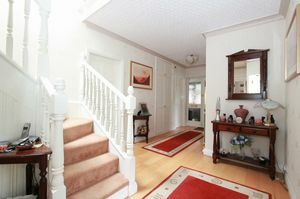 A staircase from the reception hall gives access to the principal first floor accommodation via a landing to three dormer bedrooms serviced by a wash room. 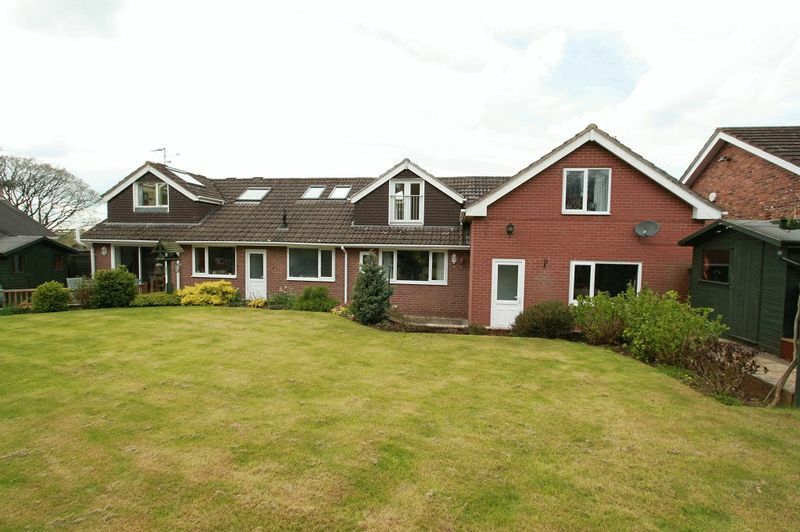 In addition having separate staircase access from the entrance porch there is a superb self contained living annexe comprising of a further spacious lounge, kitchen and bedroom with en suite. 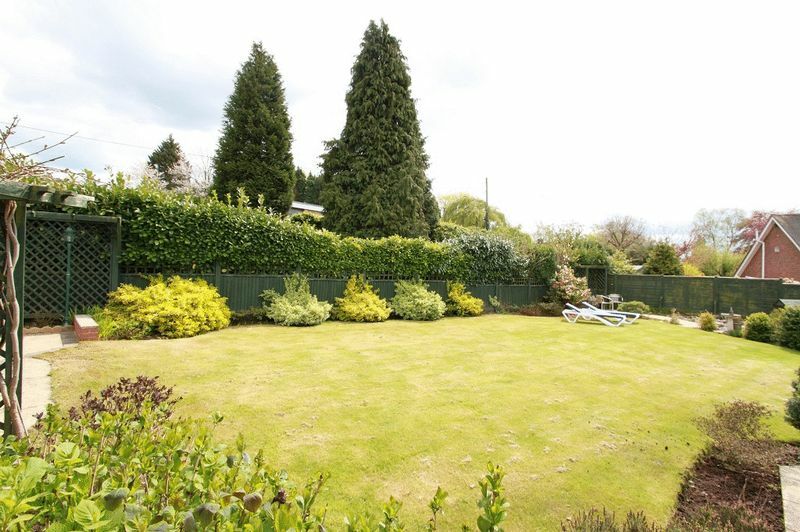 The property is pleasantly situated at the head of a small cul-de- sac having pleasant aspect to front with far rearching views and a good size private rear garden also having pleasant aspect. 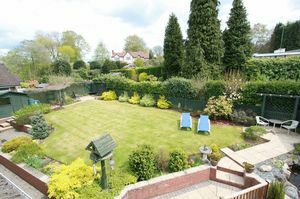 To the front of the property there is a dual access driveway providing ample parking and leading to double width carport to side in turn to a large double garage accommodating the living annexe above. The property is offered for sale with immediate vacant possession with the existing owners having alternative accommodation. Timber framed with half glazed entrance door and window, part panelled walls. Glazed panelled entrance door to reception hall and further glazed panelled door giving separate access to first floor annexe. Giving access to all principal ground floor rooms and having turned staircase to first floor. 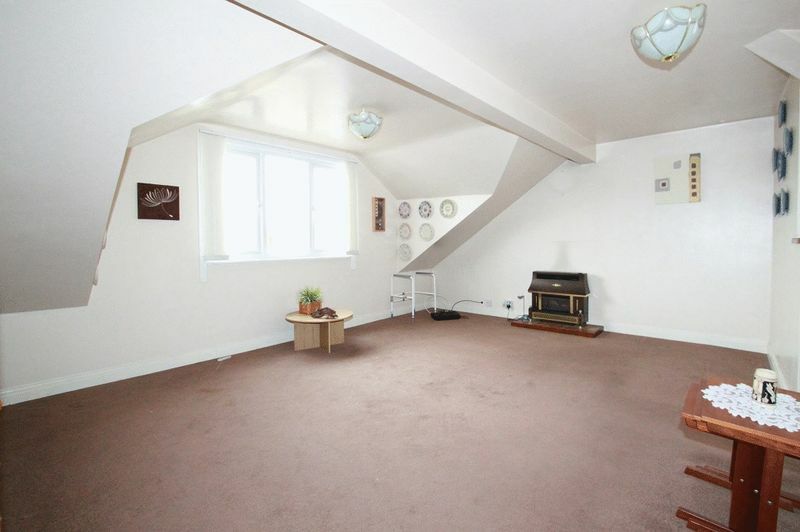 Under-stairs store, engineered wood flooring, coats cupboard with further store cupboard above and radiator. With radiator and uPVC window facing to rear. 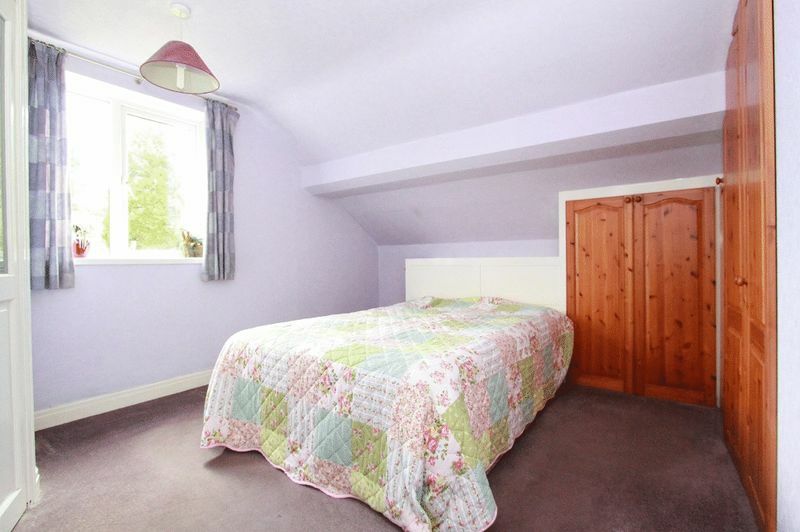 WALK-IN DRESSING/WARDROBE fitted with double hanging space and having radiator and ceiling downlighting. Suite comprising enclosed tiled shower cubicle with electric shower, vanity wash hand basin set within recess having tiled surround, downlight and vanity mirror. Chrome heated towel rail and small uPVC window facing to rear. Alternatively it could be used as an additional reception room. 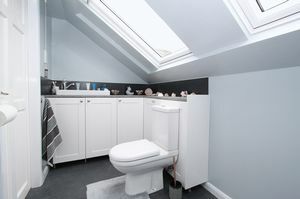 With built-in triple wardrobe having inset drawer unit, modern vanity wash hand basin set within recess with tiled splashback, radiator and uPVC window facing to front. 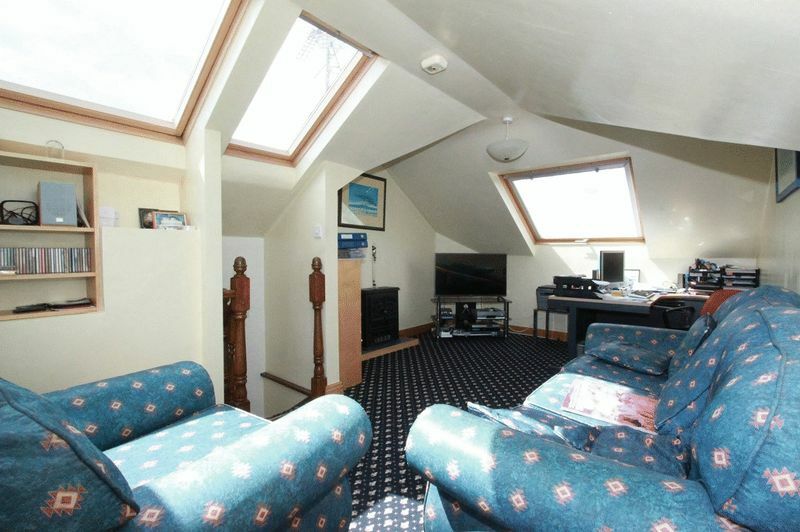 Alternatively it could be used as an additional reception room. With built-in double wardrobe having inset drawer unit, modern vanity wash hand basin set within recess with tiled splashback, radiator and uPVC window facing to front. 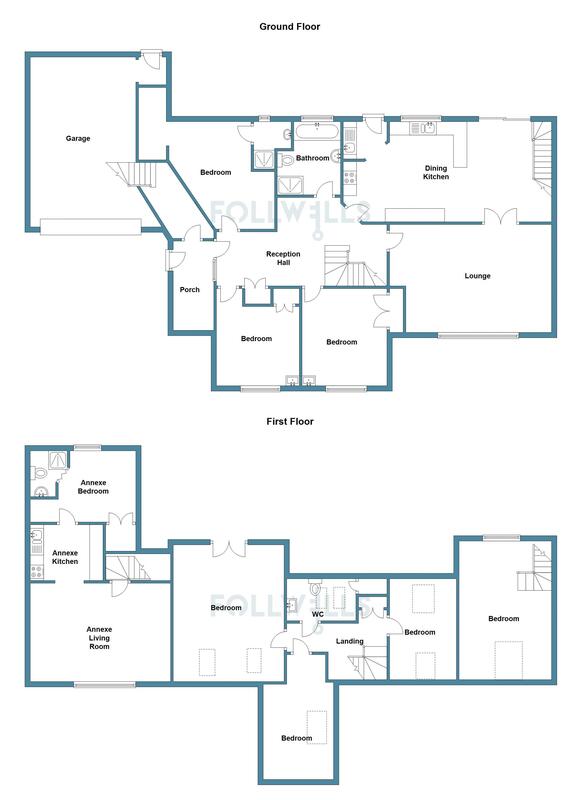 Four piece suit comprising tiled panelled bath, one and a half shower cubicle with mains shower and sliding screen door, pedestal wash hand basin and close coupled W.C. Fitted medicine cabinets with pelmet downlighting, chrome heated towel rail, electric shaver point, tiling to walls and uPVC window facing to rear. With modern pebble effect gas fire having marble inset/hearth and wood surround, large five panel uPVC bay window to front having pleasant view down the Close and distant views of countryside. 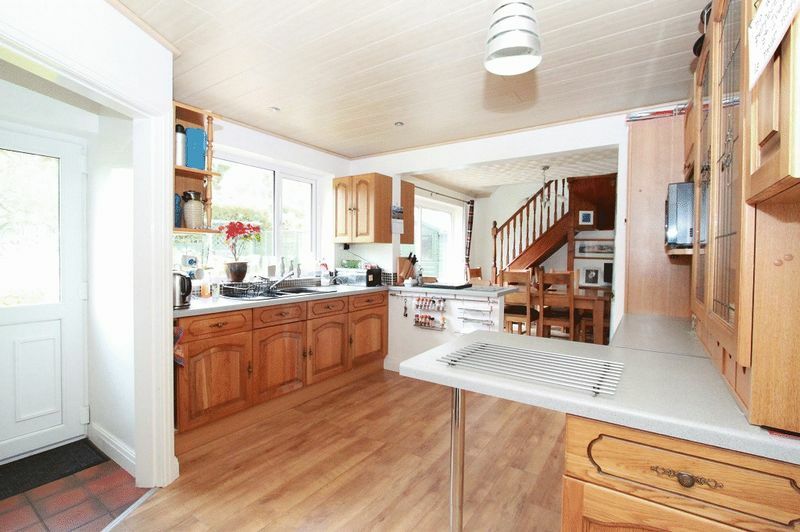 Radiator, wall light points and double doors giving separate access to dining kitchen. 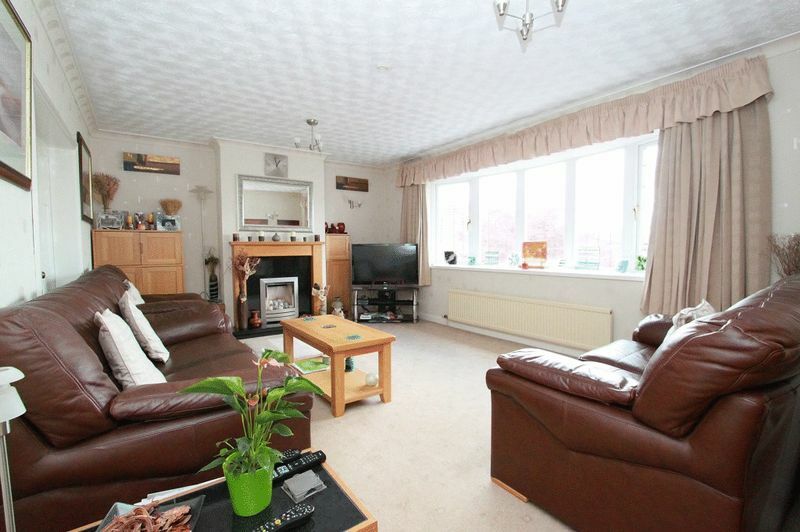 Having laminate wood effect flooring running throughout. 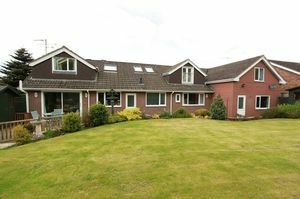 With large aluminium sliding patio door giving access to rear, further radiator, double doors to lounge and turned staircase to first floor family room/study. 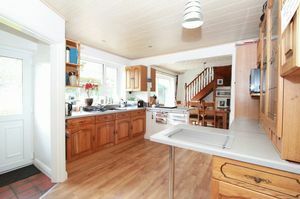 Off kitchen area comprising stainless steel single drainer sink with space for appliance and plumbing for washing machine beneath. Wall mounted gas fired boiler and wall cupboard, quarry tiled floor, tiled splashback and half glazed uPVC rear entrance door. 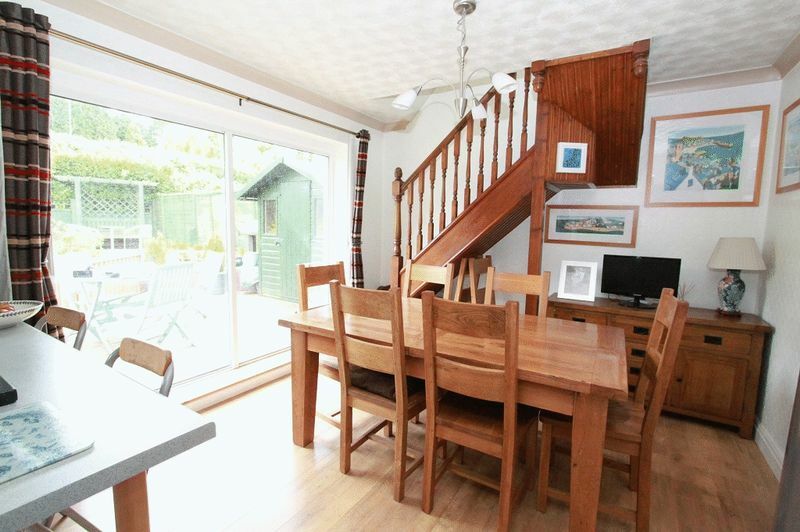 Providing a most useful family space or hobby room and accessed via staircase from the dining kitchen. With double glazed window to rear, radiator and four double glazed skylights to side and front aspect. 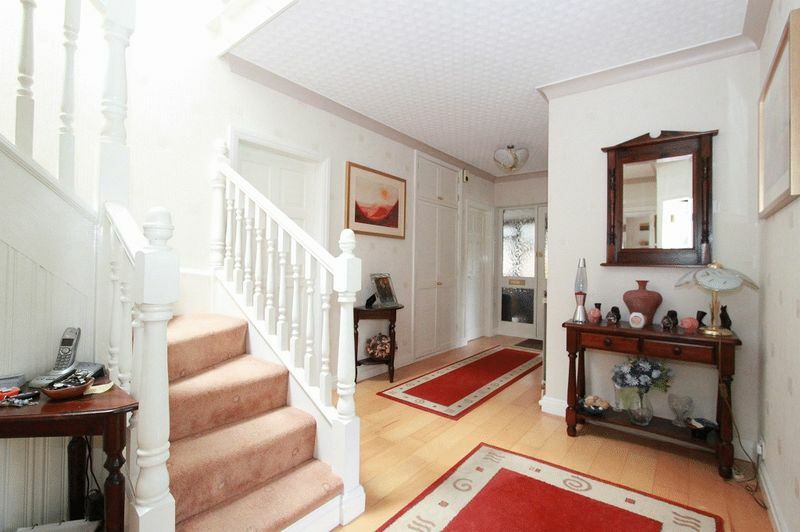 Accessed via separate staircase from reception hallway. 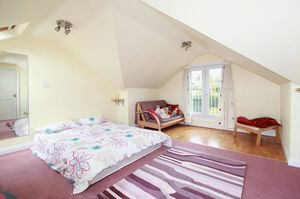 Giving access to three attic bedrooms and wash room with double glazed skylight facing to front and linen cupboard. 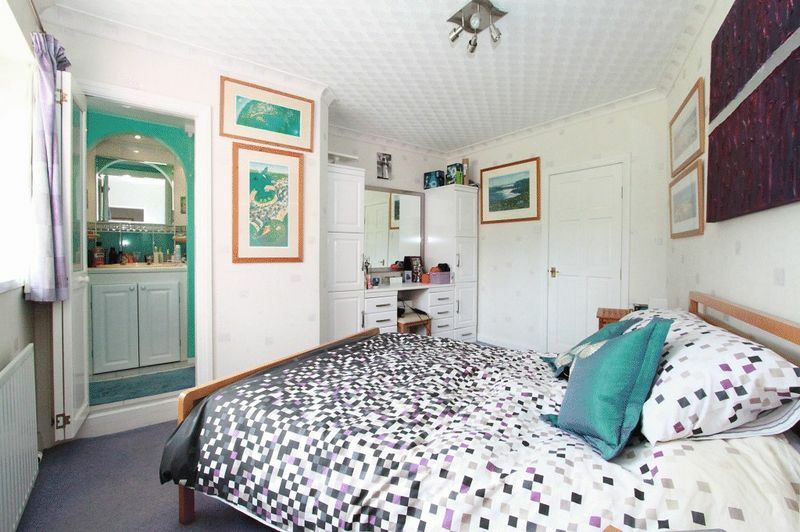 Alternative master bedroom. With fitted furniture comprising of wardrobe units and desk/dressing table with cupboards beneath. Three quarter uPVC French doors opening to rear Juliette Balcony having pleasant view over garden. 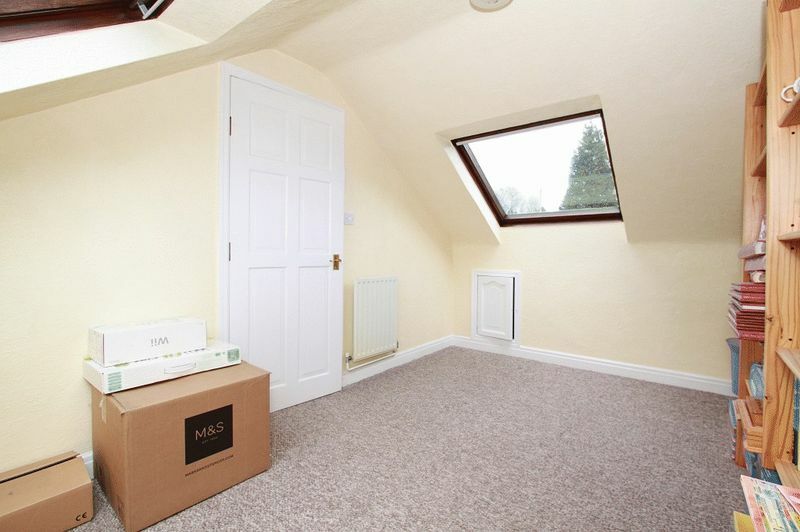 Part laminate wood flooring, two further double glazed skylights facing to front and radiator. Double glazed skylights to front and rear aspect, radiator and access into remaining roof void. Double glazed skylight to side and access into remaining roof space either side. With close coupled W.C. and vanity wash hand basin set within range of cupboard units. Twin double glazed skylights facing to rear, wall mounted electric chrome towel rail, electric shaver point and access to remaining roof void. Having separate staircase access from the side entrance porch, a completely self contained living annexe ideally suited for growing teenager or dependant relative. 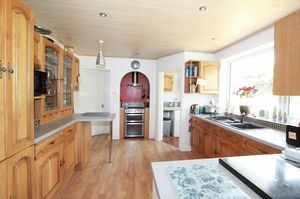 One and a half bowl single drainer sink, work surface having base cupboards and drawer units, glass fronted display cabinet and further wall cupboards. 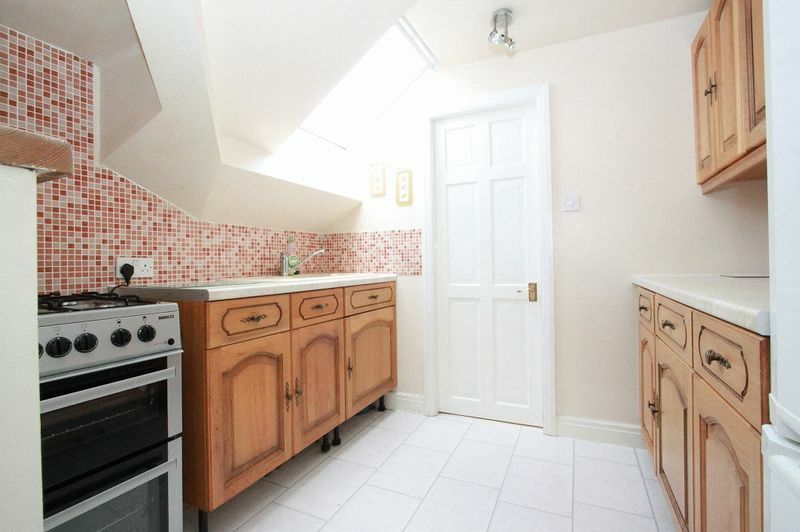 Space for appliances including gas cooker point and double glazed skylight to side. 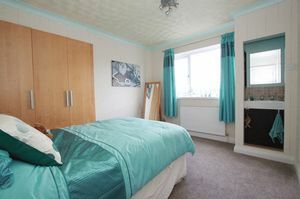 With built-in double wardrobe and further three quarter built-in wardrobe/storage unit, airing cupboard housing hot water cylinder providing independent hot water for annexe, uPVC window facing to rear. 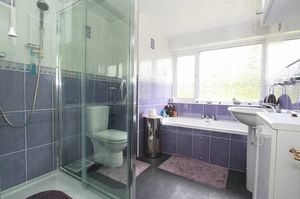 Enclosed tiled shower cubicle with electric shower, pedestal wash hand basin and close coupled W.C., tiled splashback and twin base cupboards. With up and door, light/power, uPVC window and half glazed uPVC rear entrance door. 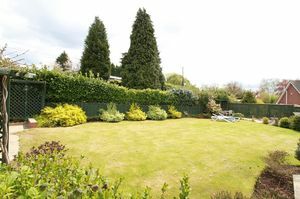 Assorted shrub/plant beds to front, paved access either side and exterior water tap. Fence enclosed rear garden with timber decked sun patio including part block paving and steps up to further paved sun patio with trellising. 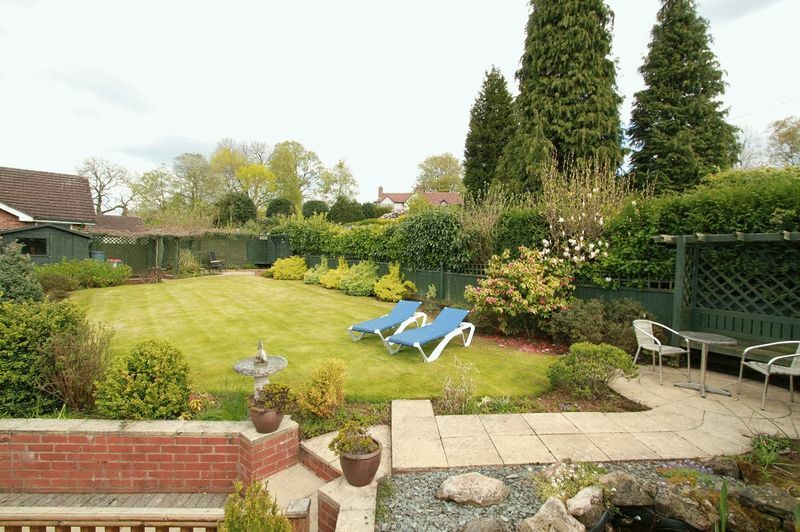 Shaped lawn with assorted shrub/plant beds. Two timber framed sheds and exterior water tap. From gas fired combination boiler to radiators as listed. Annexe having independent hot water storage tank with immersion heater for hot water. 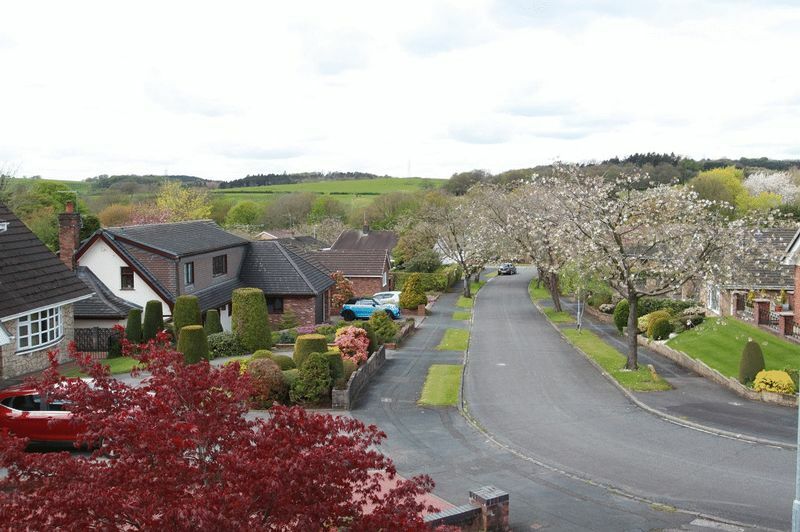 Principal windows are uPVC double glazed as listed. 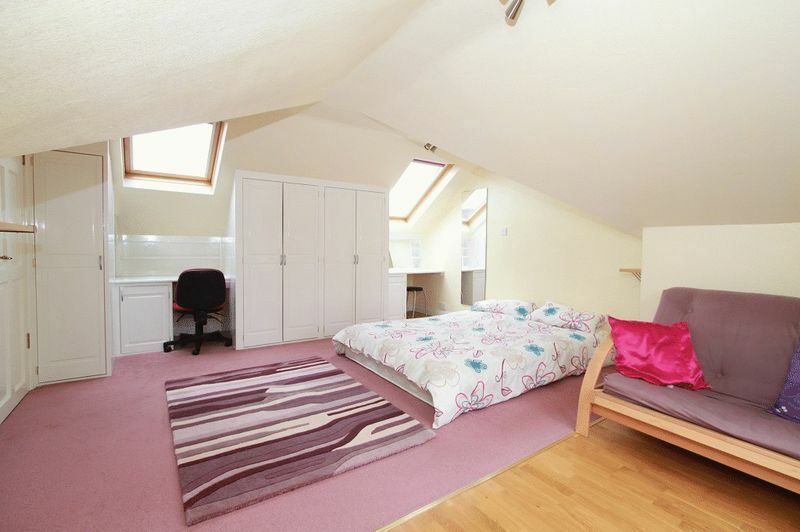 Secondary areas are wood frames including double glazed skylights to first floor as listed. Principal Property Band 'F' amount payable £2407.97. 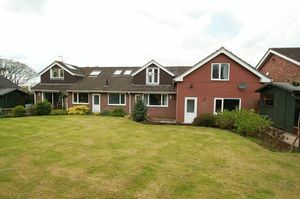 Annexe Band 'A' amount payable £1077.88. Newcastle under Lyme Borough Council.